Rodney Hide, a well-known columnist, is the former Leader of the ACT Party and for six years was a Member of Parliament’s Intelligence and Security Committee. 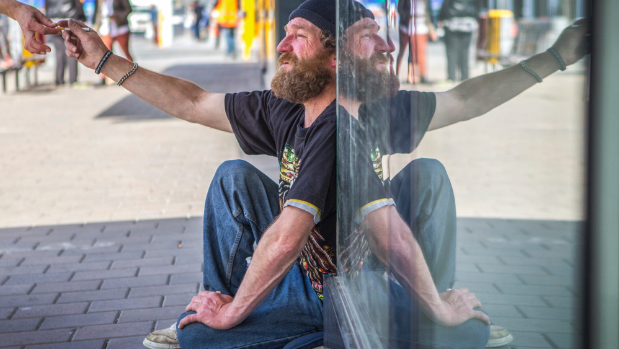 Prolific Colombo St beggar Mike Hassall says he can collect up to $100 a day. The latest immigration statistics are good news. There’s nothing better than people wanting to come and live and work in your country. If it’s a problem, it’s a good one to have. Imagine the reverse. It’s only scary countries that build walls to keep people in, not out. The statistics are a positive indicator that New Zealand is a good place to live and work. And it’s not just foreigners thinking so but Kiwis, too. The net loss of New Zealanders was less than 2000 last year. That compares with an average of over 25,000 for every year that Helen Clark was prime minister. The loss is not just economic and social. I well remember the concern when I was door-knocking that grandparents were losing out seeing their grandchildren grow up. It was sad. One proud grandad was worried his grandkids would be Wallabies, not All Blacks. New Zealand is now a much more desirable place to live. Kiwis are voting for New Zealand with their feet. Nonetheless, the latest immigration statistics had opposition parties jumping up and down. For them, it was nothing but a horror. Fully one-quarter of the permanent long-term arrivals were Kiwis coming home. That’s presumably a good thing. Nineteen per cent were students. That’s presumably a good thing. Thirty-three per cent were work visas. They are going to be productive to New Zealand. And 13% had residency visas. They meet the government’s policy and were granted residency. The concern of the opposition parties was infrastructure and jobs. But the problem is not the people coming in but the people already here. Every day I drive down Colombo St in Christchurch. On one side foreigners are constructing roading, pathways and buildings. On the other Kiwis are sitting in the street begging. The infrastructure would not be being built if it weren’t for foreign workers. It’s the same in industry after industry. Kiwis won’t work. Foreigners will. There is also the problem of drugs: Kiwis turn up to work refusing to be drug tested or failing to pass the drug tests. So much so, that I know of workplaces that have given up, sadly and reluctantly, on hiring Kiwis sent by Work and Income. Our hospitals would collapse without foreign workers. So too horticulture. I am sure every industry would suffer without foreign workers. No foreigners are begging in Colombo St. They haven’t the time. They are too busy working rebuilding the city following the devastating earthquakes. We should be thankful for the great immigration statistics but we shouldn’t be blind to the question they pose. And it’s not the one the opposition parties are asking. It’s how on earth can a healthy young man sit on his bum all day begging, grumpy with his lot, while foreigners work all around him rebuilding the city? This article is republished with the kind permission of the National Business Review. It was originally published by the NBR HERE.